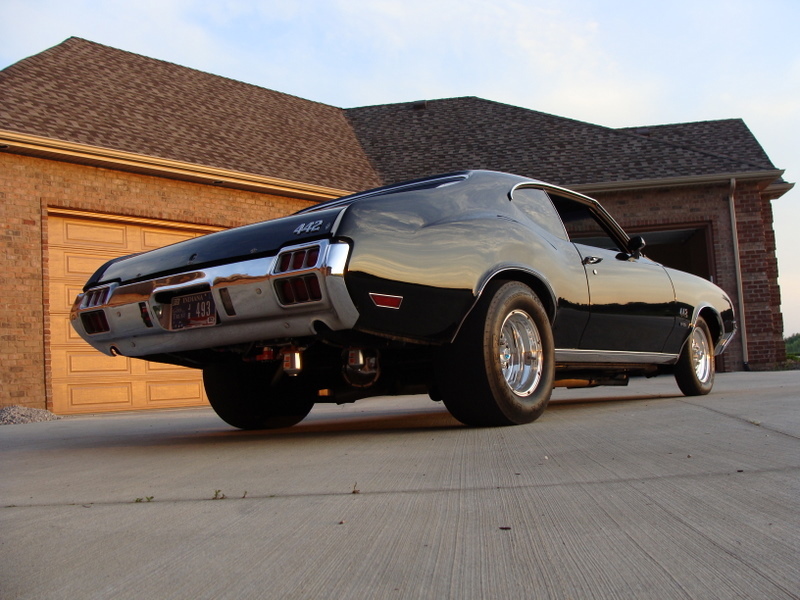 FULLY RESTORE CAR TO PRO STREET STATUS. 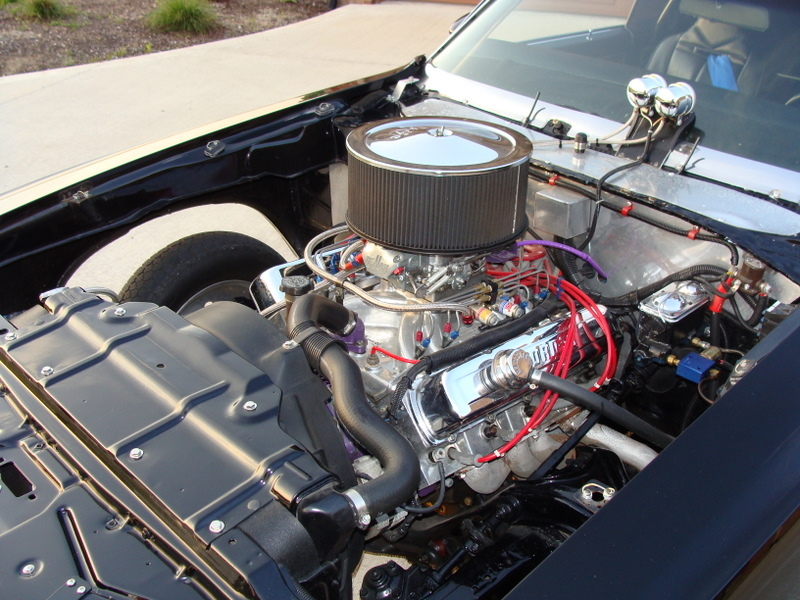 455 .060 OVER BLOCK…EAGLE RODS…ARIAS PISTONS (11.5 TO 1)…ALUMINUM EDELBROCK STAGE 3HEADS FULLY PORTED…HARLAND SHARP ROLLER ROCKERS…6.56 ERSON ROLLER CAM…MILODON GEAR DRIVE…OFFENHAUSER DOMINATOR INTAKE…1090 KING DEMON…MALLORY COMP 9000 DISTRIBUTOR…MSD IGNITION…NOS STORTSMAN FOGGER…BEEFED UP TURBO 400 TRANS WITH 5400 B&M STALL CONVERTOR…10 BOLT AUBURN PRO DIFFERENTIAL WITH 4.10 GEARS. 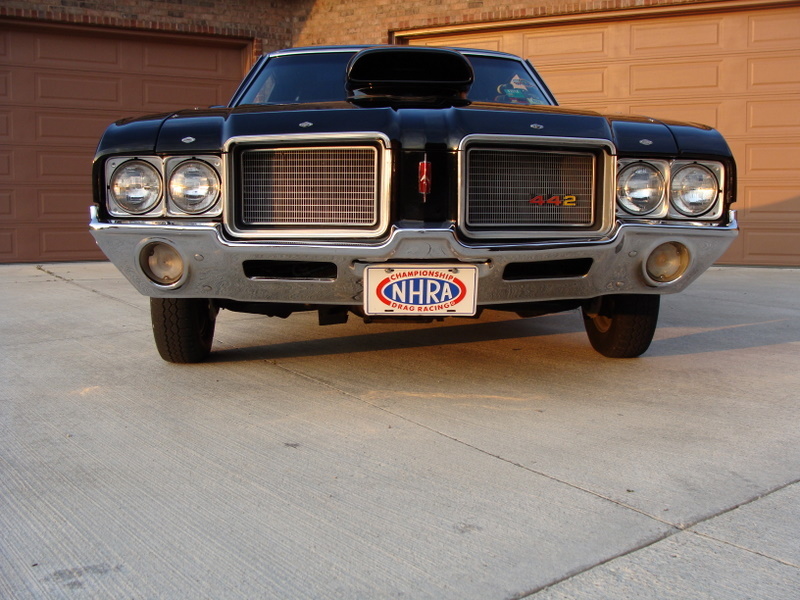 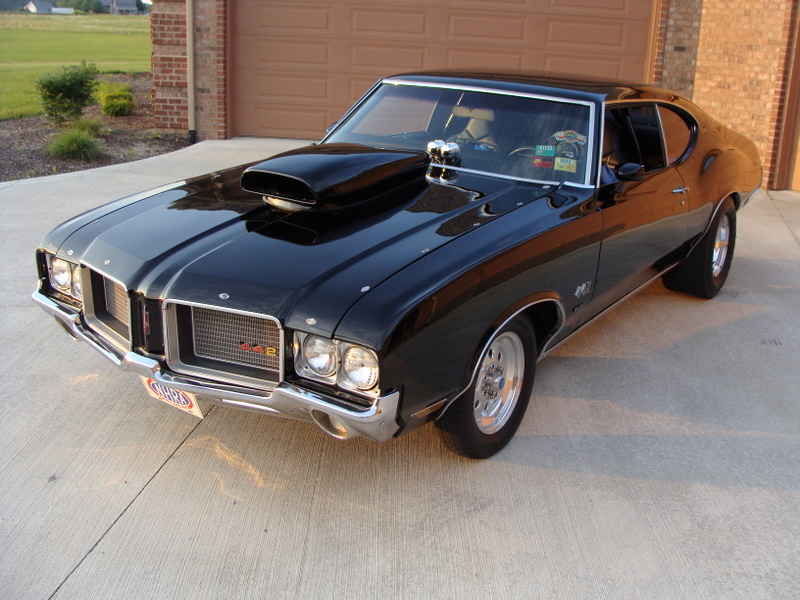 Introduction: There are those who claim that it was Oldsmobile that created the first muscle car when it stuffed its hot new fullsize Rocket V8 into its midsize model to create the Olds 88 and Super 88 series back in 1949. 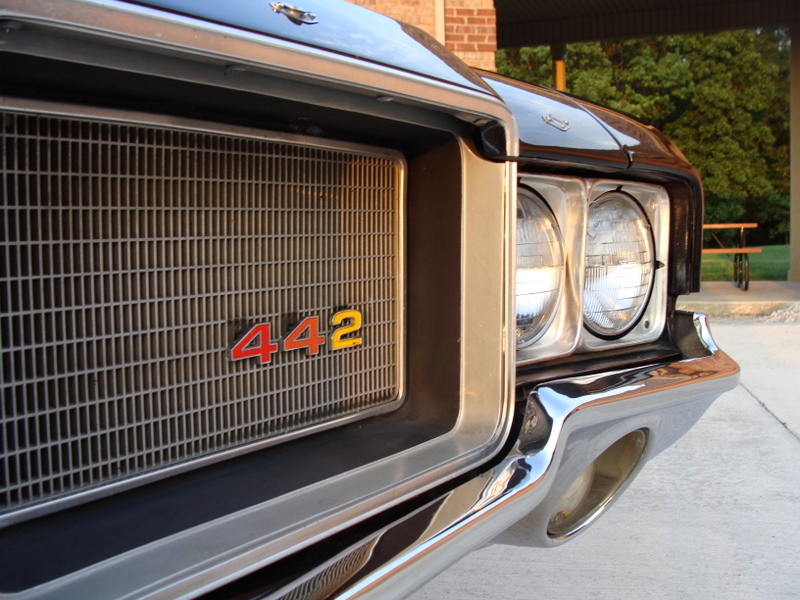 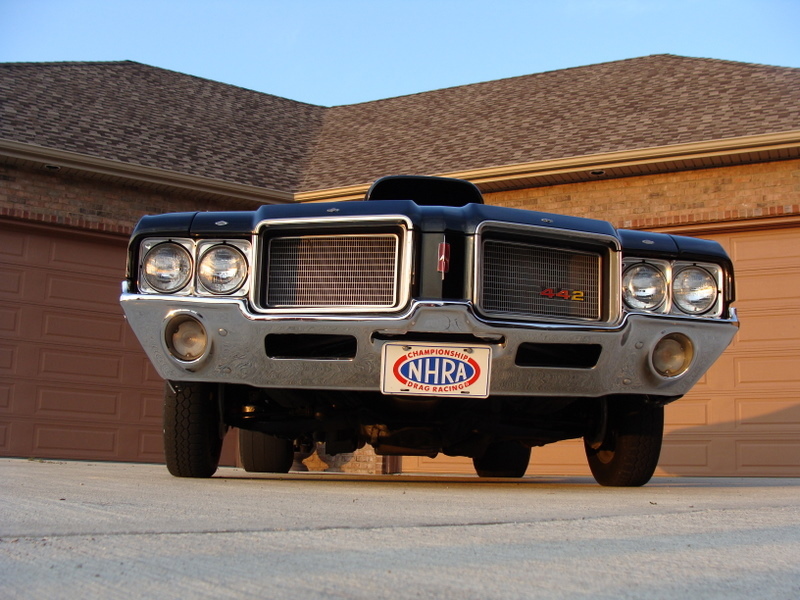 But it wasn’t until 1964 that Oldsmobile would return to the concept, encouraged by the success of the Pontiac GTO. 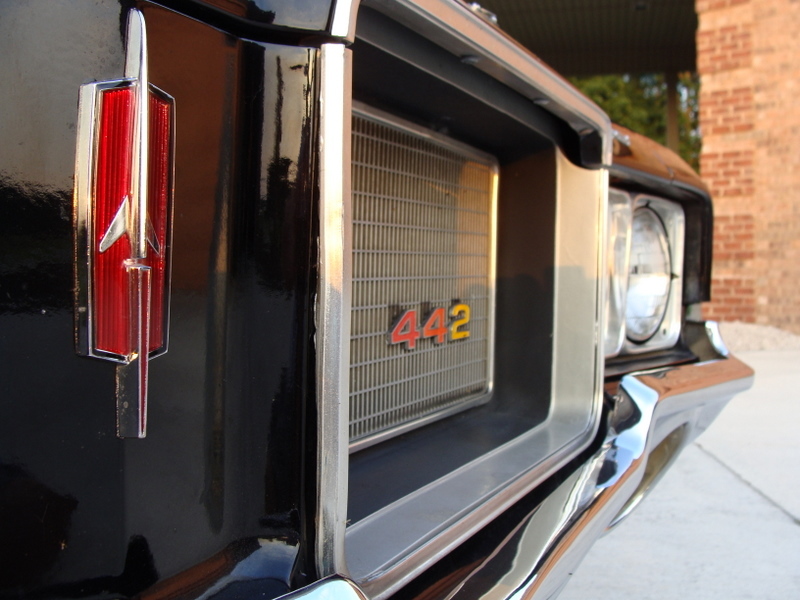 Oldsmobile was the first GM division to follow Pontiac’s lead, and began to offer fullsize muscle in its midsize Cutlass model. 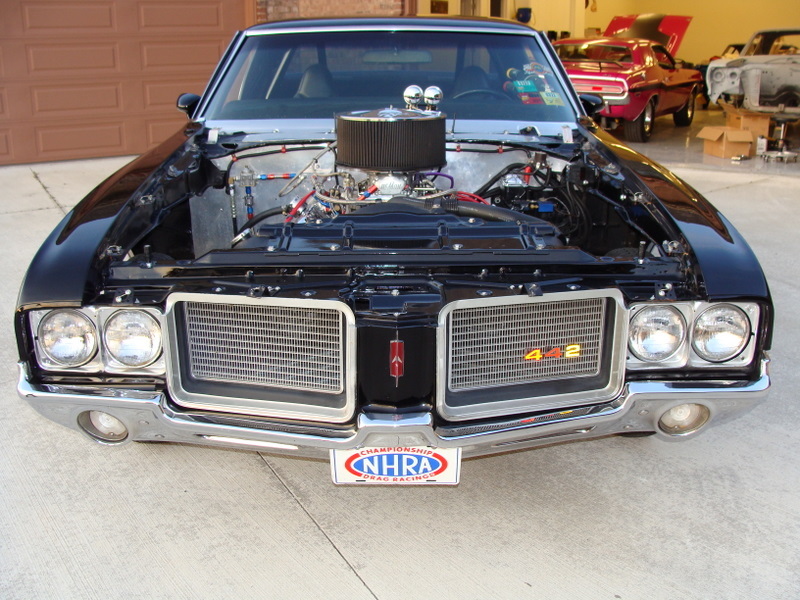 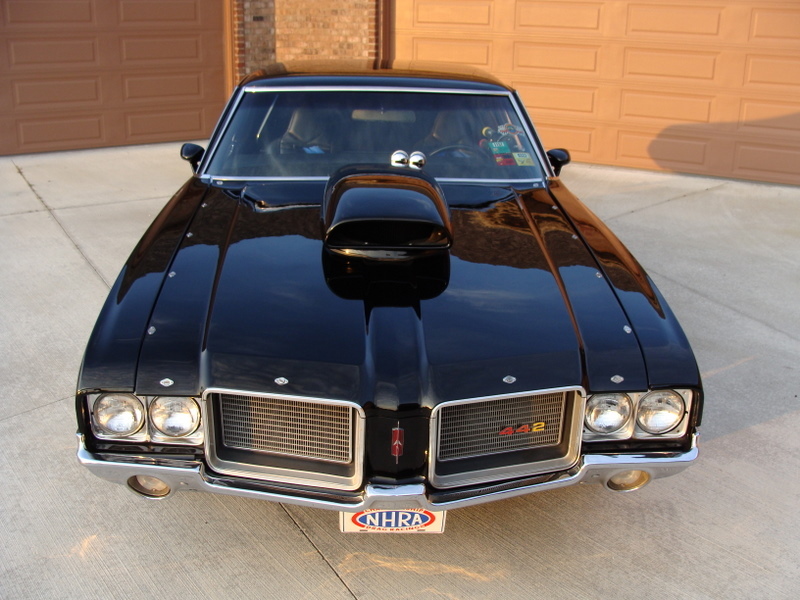 The package included the top engine available from Oldsmobile, a 330 cid V8 with the police package. 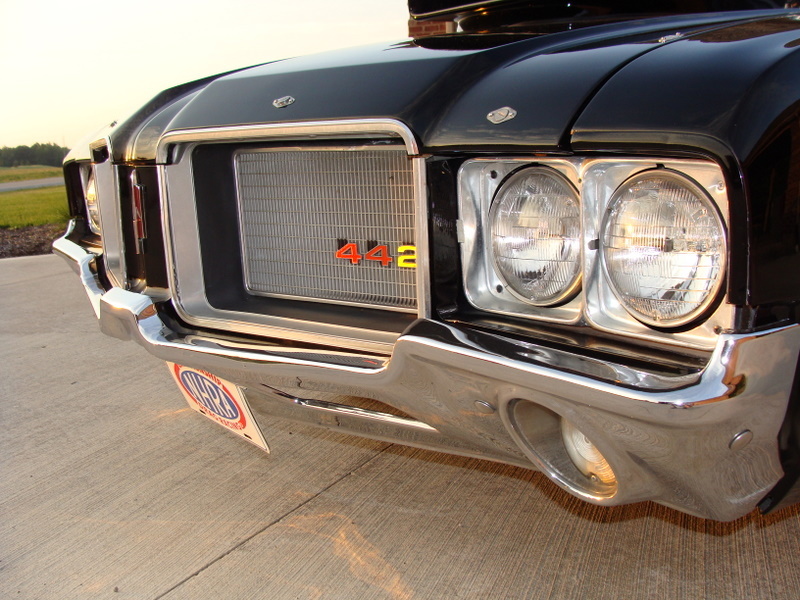 It was named the 4-4-2 package, originally signifying the engine’s 4 barrel carb, 4 speed manual transmission, and dual (2) exhausts. 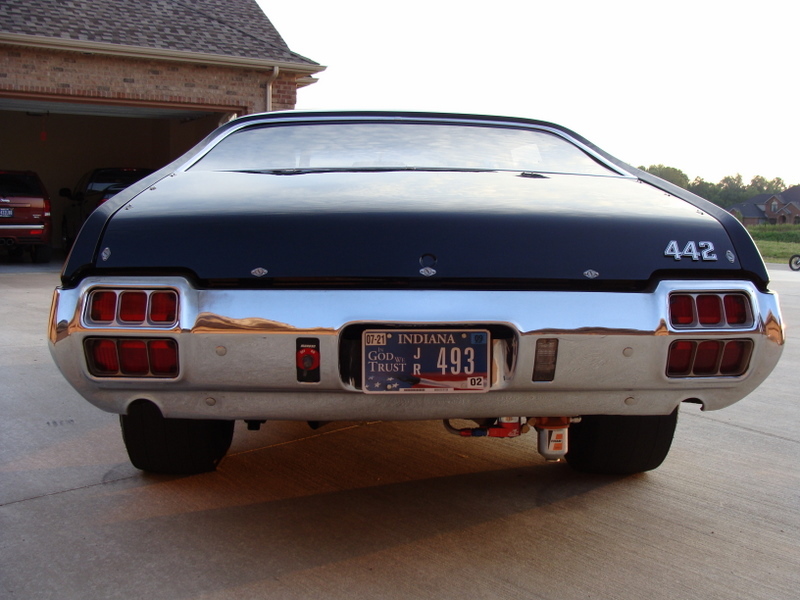 Although the specifications would change through the years, the name stuck. 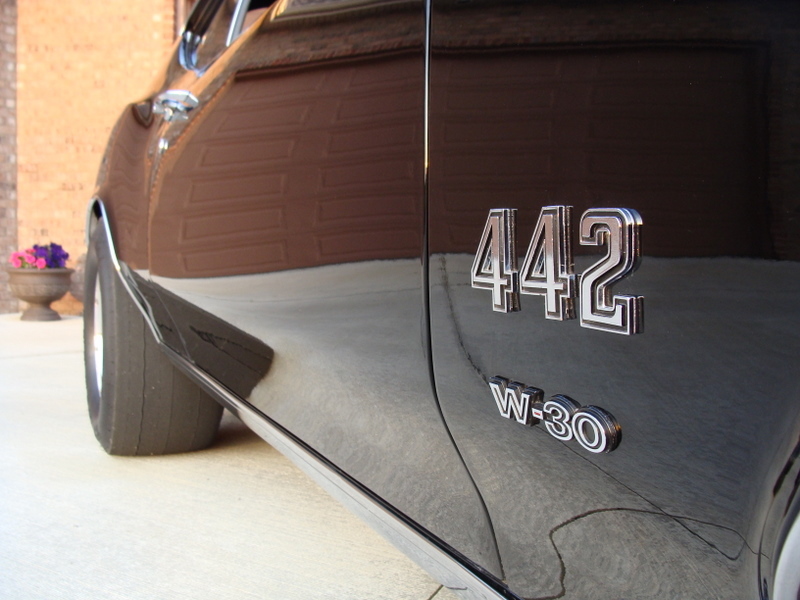 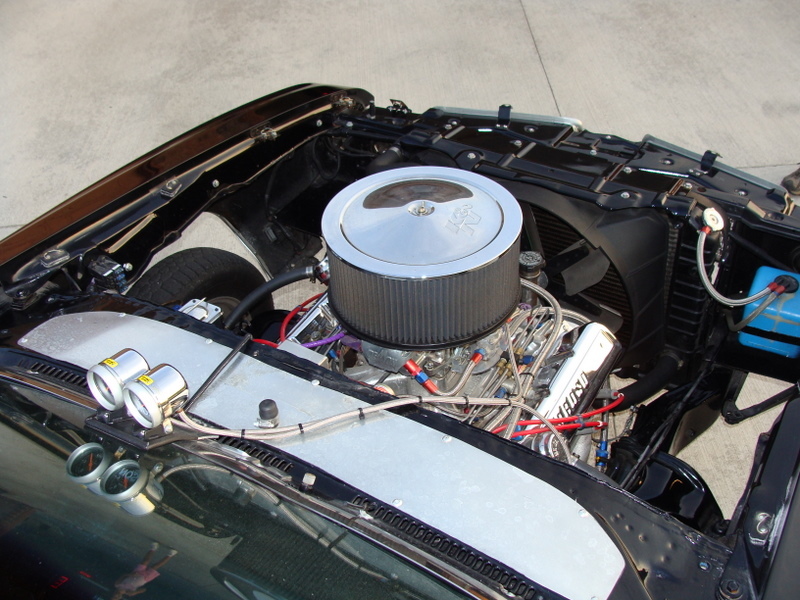 Although never the fastest or the best seller of the GM A-bodies, the 4-4-2 was known for its balanced performance, exceptional handling and the “W” and Hurst editions that would come out in later years. 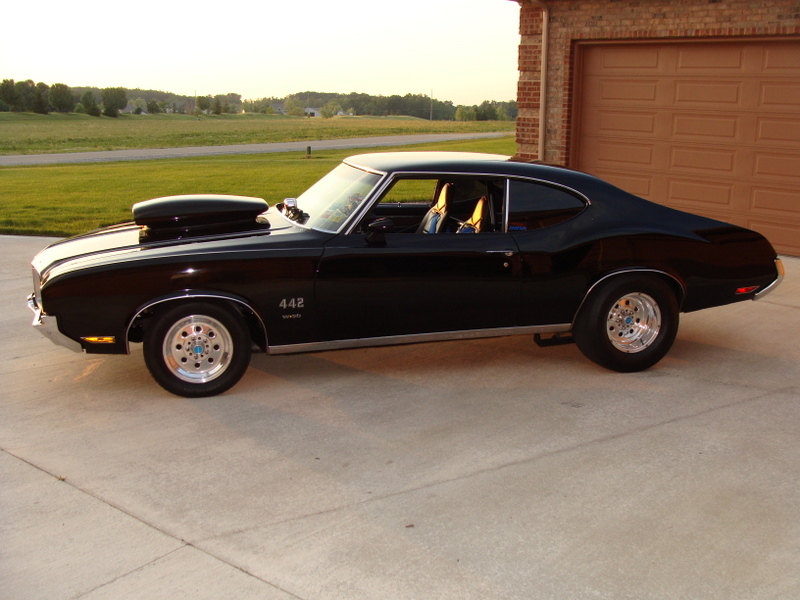 Comments: The 4-4-2 reverted back to an option on the Cutlass models for 1972 as the market turned away from gas guzzling, high insurance cost muscle cars. 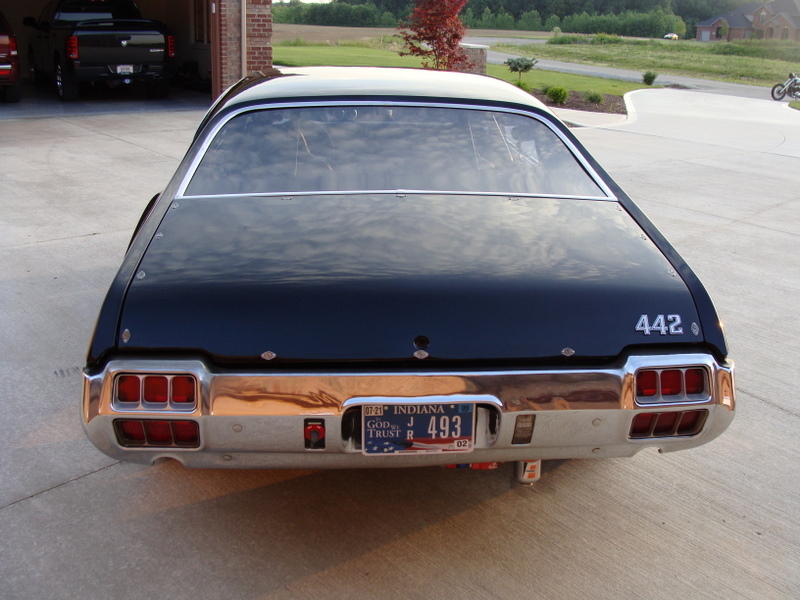 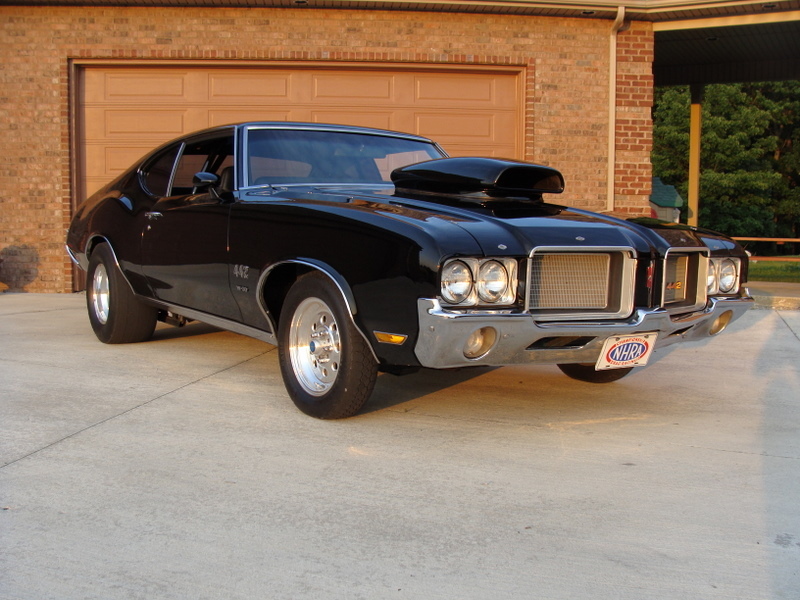 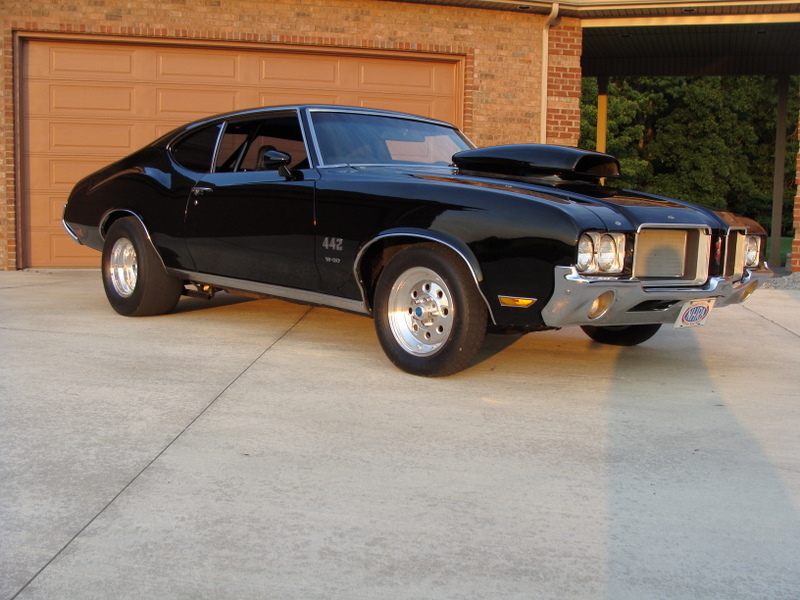 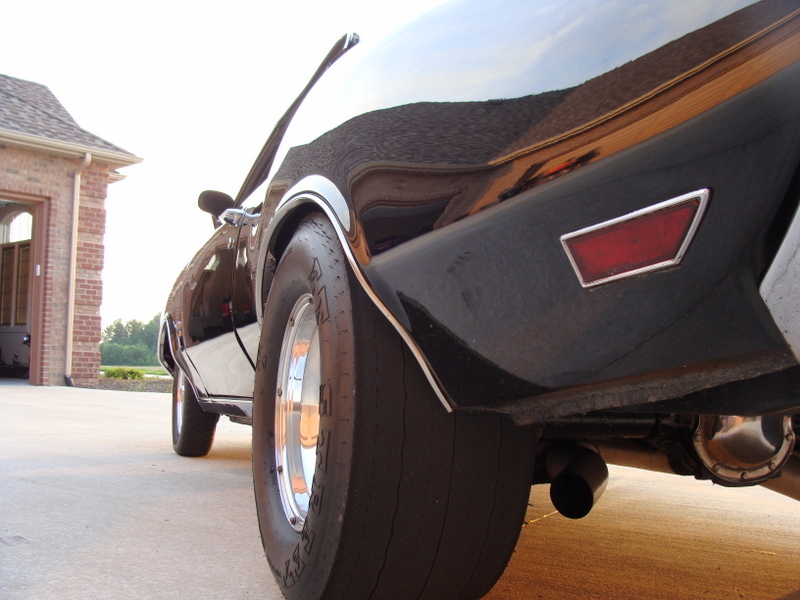 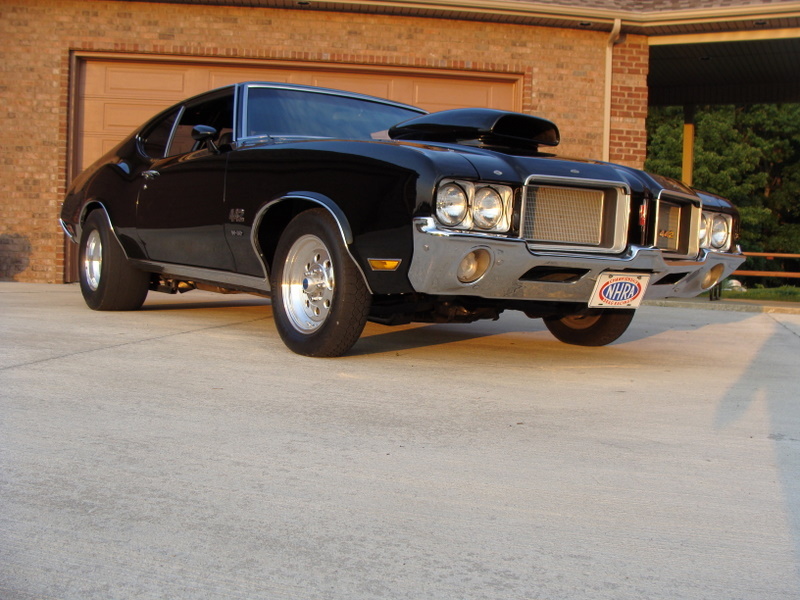 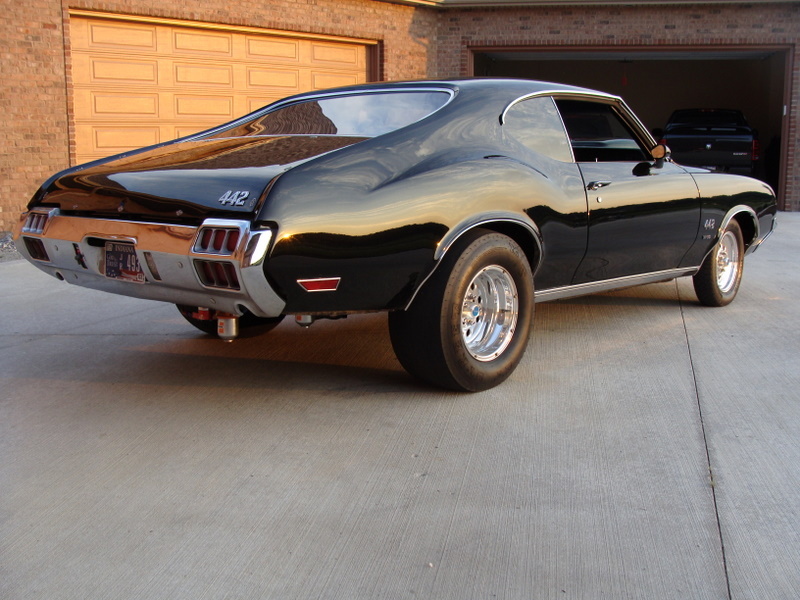 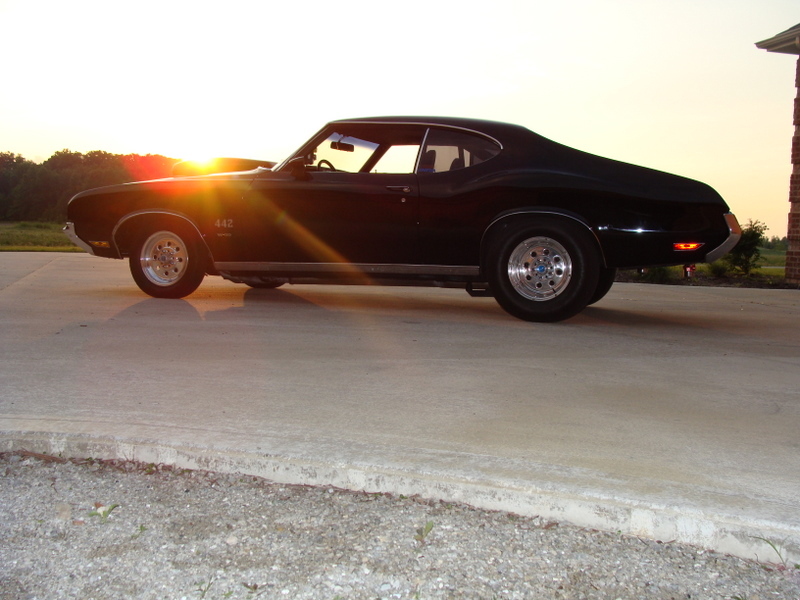 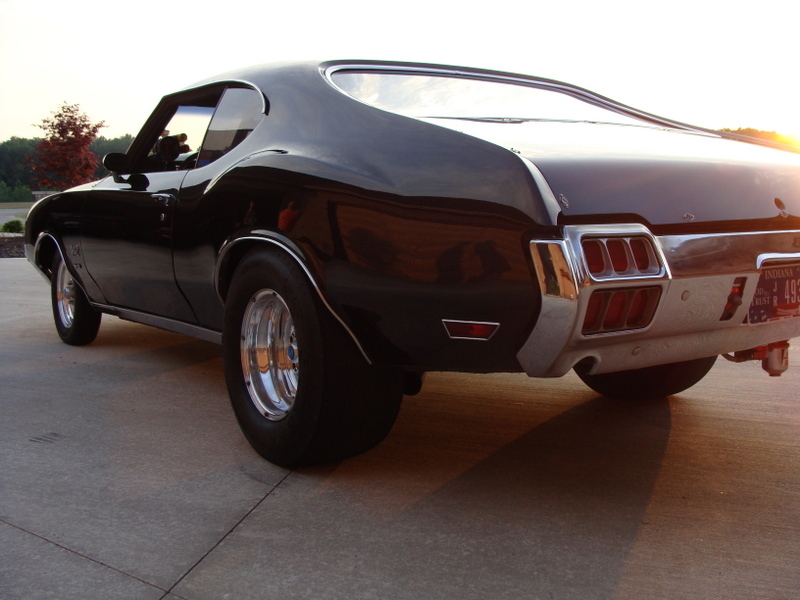 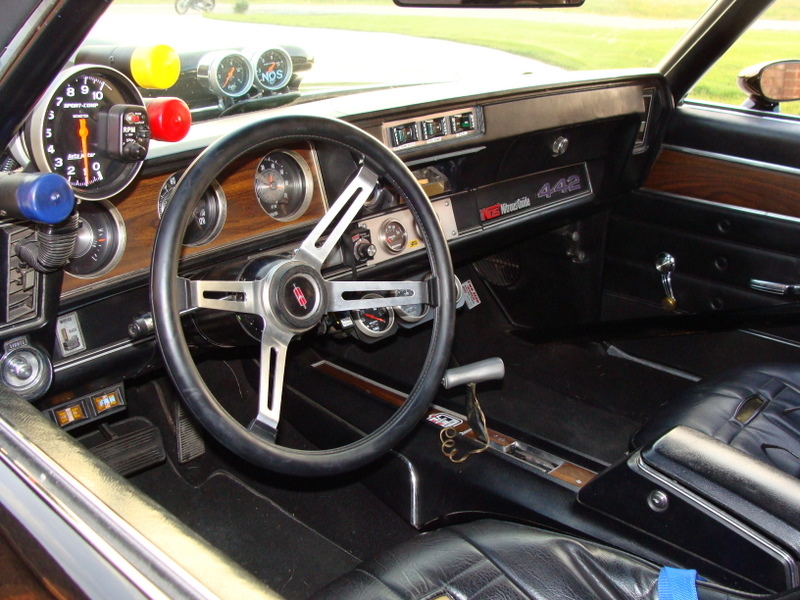 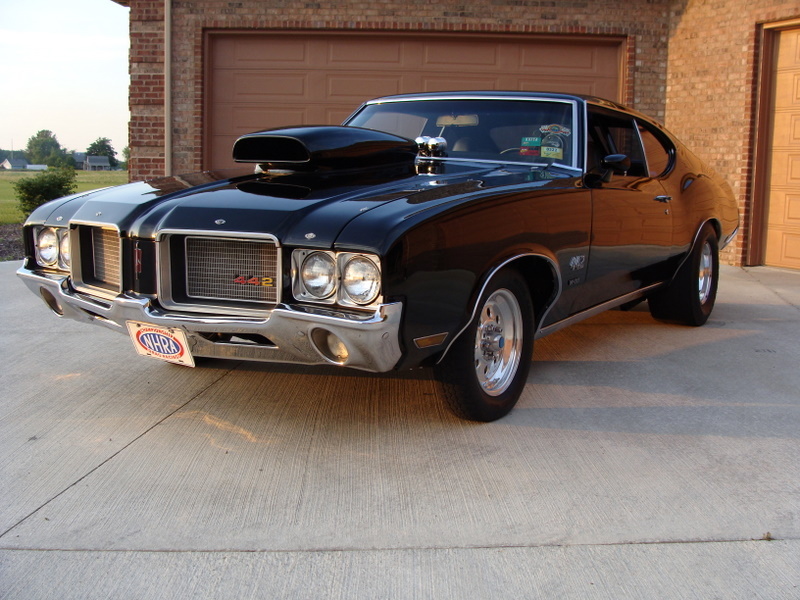 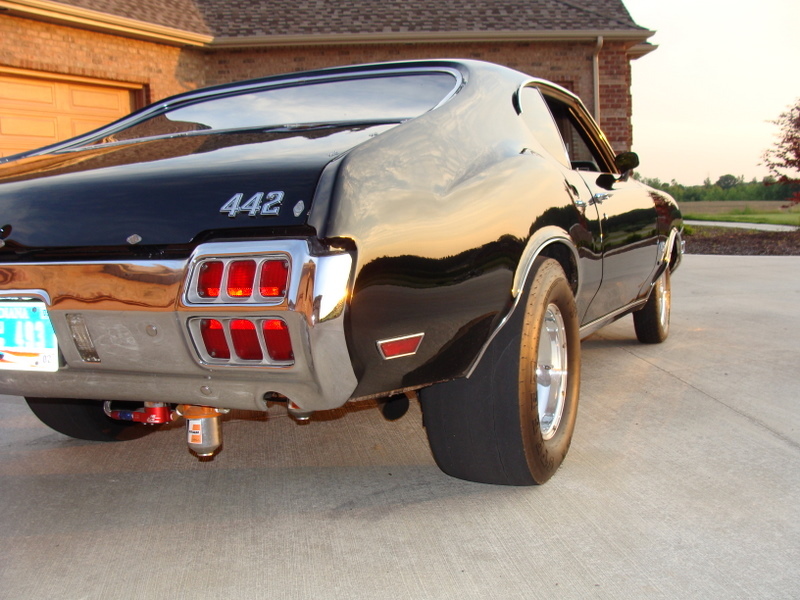 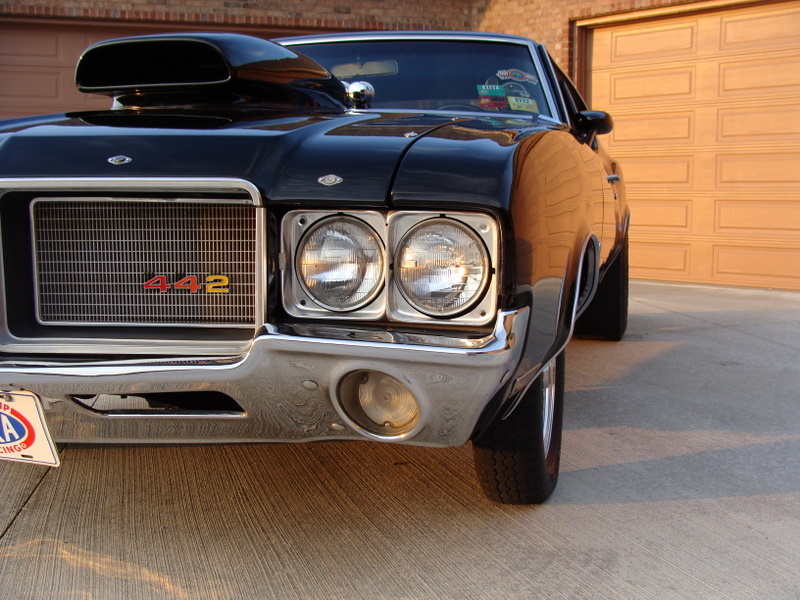 The 4-4-2 package became just a handling and appearance package available on any V8 Cutlass and included a heavy-duty suspension, wheels, and appearance items. 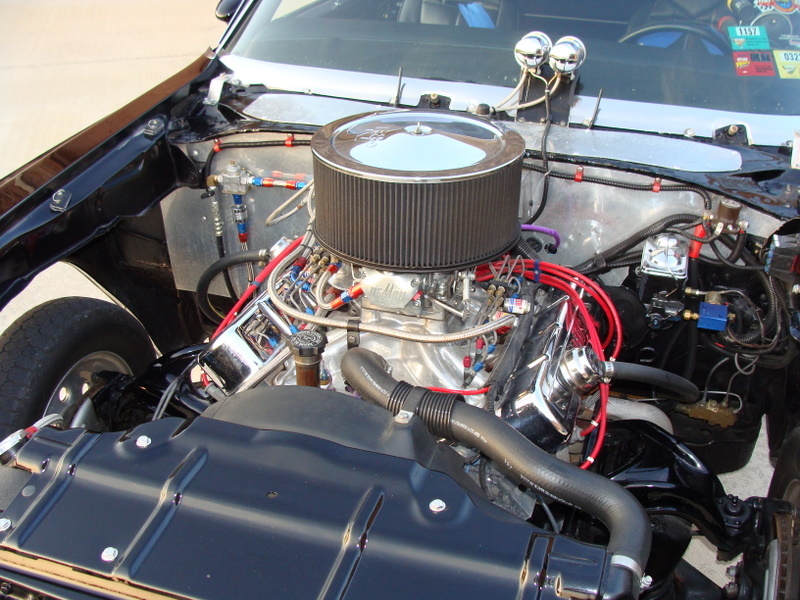 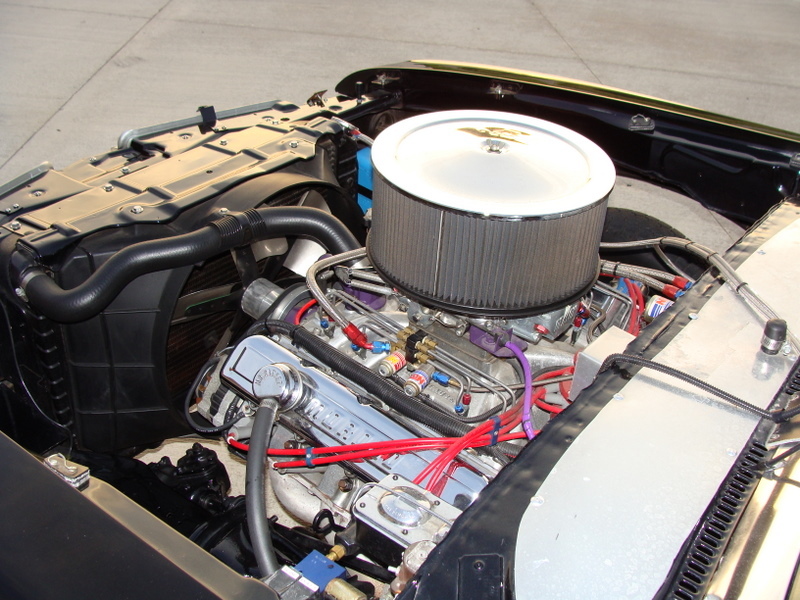 For those who still craved performance, the W-30 option was still available, with its Force Air induction 455 V8 and enthusiasts cheered the return of the Hurst/Olds, although it was nothing like the 1968-1969 models. 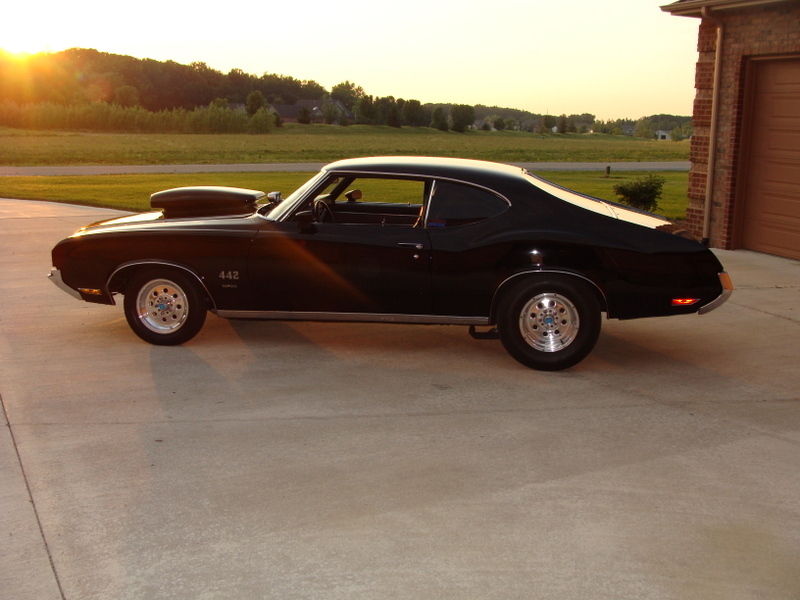 The Hurst/Olds was only available in Cameo White with black and gold accents and could be order with numerous luxury options.